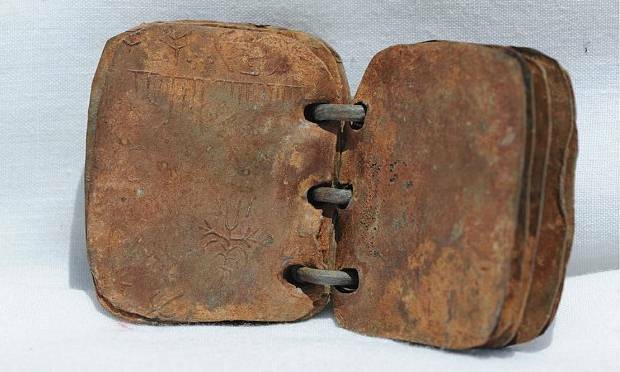 Researchers have confirmed the authenticity of 2000-year-old metal books that could rewrite history. 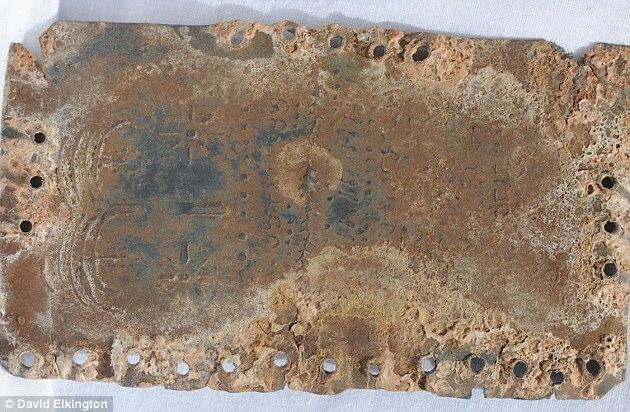 Not long ago we reported about the discovery of 70 metallic books found in Jordan that according to experts could change history if proven authentic. Now, a group of scientists has performed a number of different studies in order to confirm their authenticity and origin, arriving at a surprising and unexpected conclusion. After scientists analyzed the content they’ve come to the conclusion that the tablets date from within a few years of Jesus’ ministry. Shockingly, the tablets indicate that Jesus did not start his own religion, but RESTORED a thousand-year-old tradition that stretches back to the time of King David. Furthermore, the codices indicate the worshiped God was both male and female. The set of intricate metal books was found in 2008 in a remote cave in northern Jordan. The tablets were joined as folders by metal rings in whose pages was the first mention of Jesus in history, something that caused confusion and disbelief among experts who immediately accused the discovery of being a hoax. The books are known as codices and among them is an image of Jesus himself. 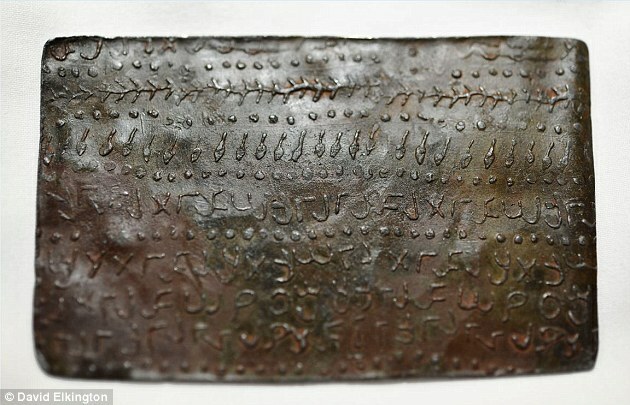 Now, a group of experts has finally taken the time to analyze the words and symbols of the metallic books, in order to verify whether or not the set of tablets was real. According to results, the tablets are AUTHENTIC. The metal books reveal fascinating details. Writings suggest that Christ did not create a new religion, but rather commenced a restoration of a thousand-year-old tradition from the time of King David. The metal books also reveal that the God they worshiped was both feminine and masculine. Professors Roger Webb and Chris Jeynes of the University of Surrey (England) confirmed that the codices ‘does not show the radioactivity arising from polonium that is typically seen in modern lead samples, indicating that the lead of the codex was smelted over one hundred years ago’. ‘While there may be variations in decay and corrosion that depend upon the environmental conditions in which the objects were stored or hidden, there is a strong underlying theme of decay from within the metal,’ said the researchers in a press statement. ‘It is oxidizing and breaking down at an atomic level to revert to its natural state. This is not witnessed in lead objects that are several centuries old and is not possible to produce by artificial acceleration (e.g. through heating). ‘This provides very strong evidence that the objects are of great age, consistent with the studies of the text and designs that suggest an age of around 2000 years’. Furthermore, experts have concluded that crystallization analysis suggests that the codes are most likely between 1800 and 2000 years old. In addition to confirming the authenticity of the books, experts have managed to conclude that the language of the codices is Paleo-Hebrew. The history-changing codices are covered in eight-pointed stars, which according to experts symbolize the arrival of the Messiah, and mention the name of Jesus. The books also include the names of apostles James, Peter, and John. The discovery does not contradict the Gospels, but places more emphasis on the physical temple, belief in the female divinity, and the role of Christ in protecting a lineage of Hebrews rather than being the founder of an own movement.